Staton has been a Licensed Clinical Social Worker in Virginia since 1998, serving the Richmond, Charlottesville and Harrisonburg communities. 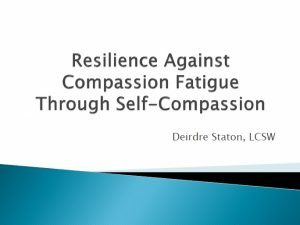 You can learn more about Staton and her work on her website, deirdrestaton.com. 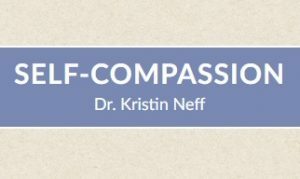 This slide deck includes more content, like some self-compassion exercises to try, further resources and references for the benefits of self-compassion listed in the TFA Newsletter article. Quiz: Test How Self-Compassionate You Are! Get scores—immediately—to see how self-compassionate you are on several different scales.